When Is an Accident an Unfortunate Mistake, and When Is the Employer Legally Responsible? Everyone knows, on some level, that the possibility of being injured on the job exists, but certain jobs and industries present more inherent danger than others. 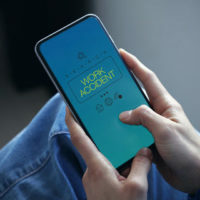 When someone does suffer a work-related injury, most people know that workers’ compensation is intended cover such accidents, but the law also allows an injured employee, in some instances, to sue the employer directly for his/her personal injury. Further, depending on the situation, other parties, such as subcontractors and third party vendors, may also be subject to a lawsuit if their actions caused or contributed to the injury. Certain jobs, industrial/factory positions and construction work in particular, place employees at risk of sustaining a serious injury on a daily basis. A recent example of the how serious a work-related accident can be occurred in Jacksonville when two constructions workers suffered a three-story fall that left one dead and the other critically injured. Often, it is not possible to entirely eliminate the risk of serious injury for these individuals, but this does not mean an employer can deliberately ignore or sidestep standards and practices that exist to reduce the possibility of harm. A discussion of the legal options that may be open to someone injured on the job will follow below. the employer knew from past experience or direct warnings a certain risk virtually guaranteed an injury, and concealed this information from the employee in order to prevent him/her from making an informed decision about doing the work. Proving an employer acted intentionally requires the presentation of a lot of evidence, and requires a consultation with a personal injury attorney so there is adequate time to build a strong case. Normally, other employees are also shielded from liability if they are acting within scope of their job, but this rule does not apply if the employee willfully disregarded the safety of others and/or used physical aggression that resulted in an injury. Further, injuries that arose out of violations of the law are also exempt from liability protection, which in practical terms is usually manifested as violations of safety regulations imposed by State or federal law. Finally, subcontractors may also be vulnerable to a lawsuit if the subcontractor’s conduct constituted gross negligence, which directly led to an injury. Gross negligence is the complete and wanton disregard for the safety and lives of others, and is characterized by behavior most people would generally consider reckless. On-the-job injuries are events that many people worry will affect their ability to continue to work. If you were injured on the job, talk to a personal injury attorney before signing any releases. You may have a personal injury claim, and need to act fast to keep your right to sue. The Miami law firm of Pita Weber Del Prado has years of experience handling injury claims, and will help you get the compensation you deserve. Contact us for a free consultation.